By buying this product you'll earn up to 69 Rewards points. 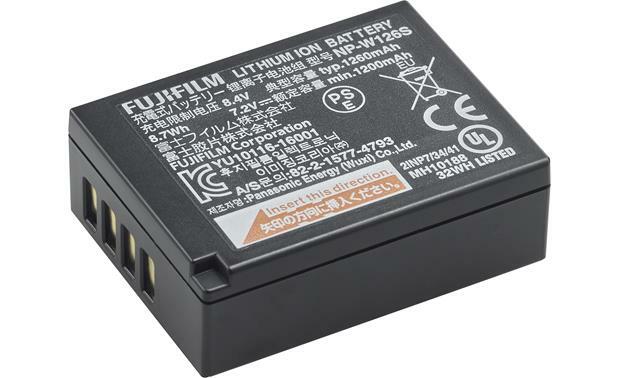 Overview: The Fujifilm NP-W126S is a rechargeable Lithium-ion battery, designed for use with many Fujifilm digital cameras. It charges in approximately 150 minutes, using the BC-W126S battery charger supplied with the camera or sold separately. External Dimensions: Width 1.853", Height 1.425", Depth 0.615"
Searches related to the Fujifilm NP-126S Rechargeable battery for select Fujifilm cameras.